Some men in Hollywood can go on and on! 67-year-old Harrison Ford obviously isn´t planning his retirement as getting ready for another adventure of Indiana Jones 5. Harrison Ford, says he's already ready for the globe-trotting archaeologist's next adventure, only a year after one of history's most successful film franchises was revived – and that the next chapter is already on its way. 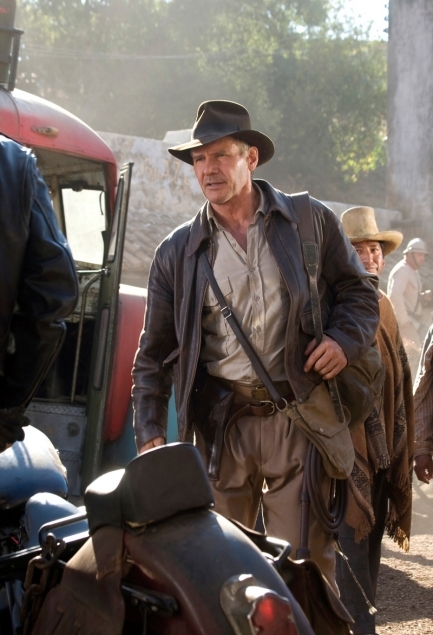 "The story for the new Indiana Jones is in the process of taking form," said Ford, adding that Steven Spielberg, George Lucas and himyself agreed on what the fifth adventure will concern. „If the script is good, I'll be very happy to put the costume on again," told the actor. But until it's time to do that again, Ford says he's happy to be a simple househusband.